We’ve written a lot here at RogerEbert.com about video games that owe a great deal to film. The idea is to illuminate the commonality between the two mediums that seem to be influencing each other more and more with each passing year. The success of “God of War” influences the film world; the success of the MCU influences the video game world. However, there are some games that accomplish what only games can do, and “Hitman 2” is one of the best in that regard. 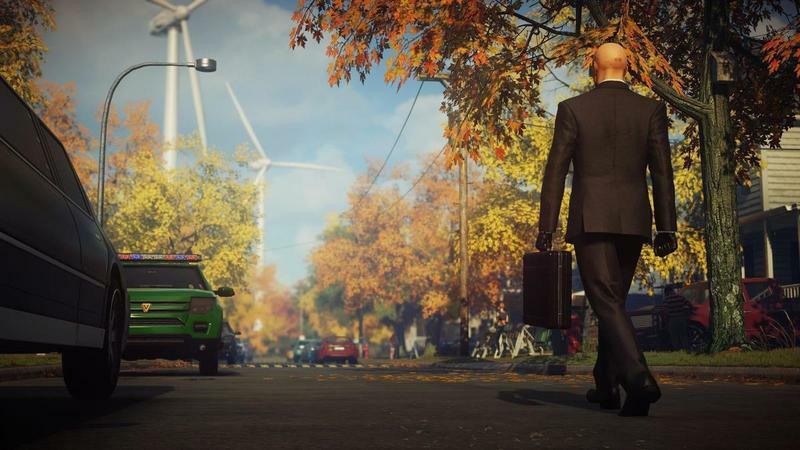 While other games clearly emulate mediums like literature or cinema, “Hitman” is more of a sandbox than a story. It encourages creativity and thinking on your feet in ways other games simply cannot. Sure, there’s a plot, but it’s a secondary concern at best. A direct sequel to 2016’s “Hitman,” this is actually the second game to have the title “Hitman 2,” as the series has basically been rebooted for the modern era. 2002’s “Hitman 2: Silent Assassin” was arguably the best in the previous series of games, and this release lives up to that reputation. The concept of “Hitman 2” is kind of right there in the title. You kill people for a living. The game drops you into massive, open-worlds, usually in cities—this edition takes you to places like Mumbai and Shanghai—and lets you do the rest. You have targets in each city, and you can activate a system that makes their execution something that the game guides you to accomplish, but the developers encourage player authorship. Your mission, should you choose to accept it, will be very different from everyone else playing the game. You know who you have to kill, but how you do it is up to you. There are options as to what weapons to start each round with, and you will find dozens of ways to get the job done. For example, you could be at a fashion show, find your way to the balcony above, and realize that your target is just below you. Can you unscrew a light fixture to fall on him without being noticed? 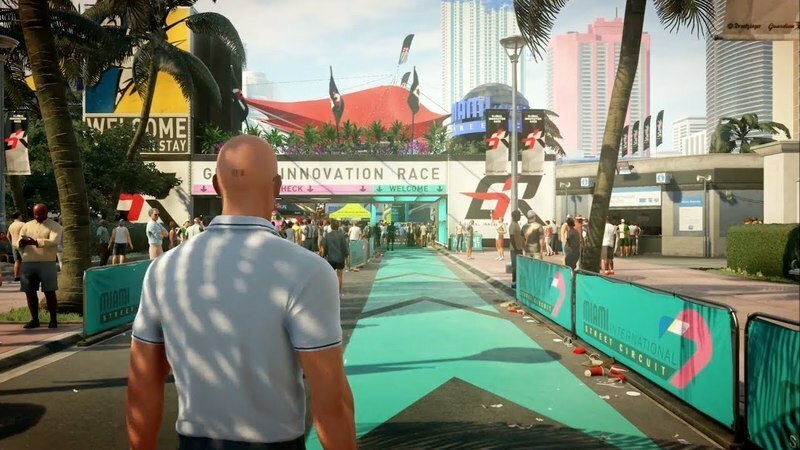 Much of “Hitman 2” is about taking advantage of opportunities, including different options that present themselves in different outfits. In other words, you’re not just a killer but a master of disguise. Need access to a drug lord’s mansion? It helps to knock out a guard and take his uniform. And you can take your time with each mission and play them again with different restrictions and options—weapons, starting spots, rules, etc. Each mission is designed to be played multiple times, and none of them are quite the same. Of course, it’s silly to say that “Hitman 2” bears no resemblance at all to the world of film given how many spy movies we get every year, but the connections are vaguer than say “Red Dead Redemption 2” to Sam Peckinpah. In fact, that’s one of the reasons the movies (2007’s “Hitman” starred Timothy Olyphant and 2015’s “Hitman: Agent 47” starred Rupert Friend) have been so lackluster. We don’t care about the plot—this one involves something about betrayal of former agents a la the recent “Mission: Impossible” movies—we just want to control the action. We want to be the ones making the decisions, getting the job done, and scurrying away before anyone even knows the target is dead (the fewer alarms you raise or innocent people you incapacitate, the higher rating you get at the end). Again, it’s fascinating to explore how much DNA film and games share as it feels like more with each console generation. But it’s nice to have something like “Hitman 2” that does so much that only games can do.